It’s a new season of Happy Hunting! Welcome to 2014 and another season of Happy Hunting, the show for and about Second Life hunts. We are introducing a new format this year. The show will come to you every Friday, posted on our web site. 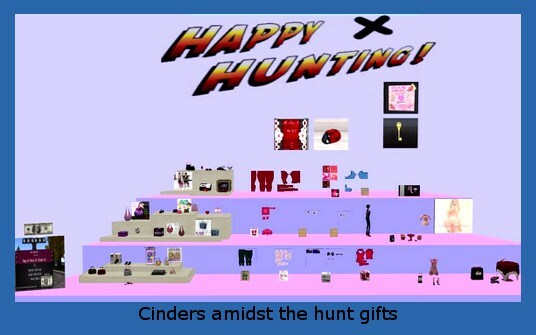 Cinders Vale brings you The Hunt Report and highlights gifts from the Bag It, Pack It, Clutch It Hunt, the Lazy Ladybug Full Perm Hunt and the Key to My Heart Hunt. 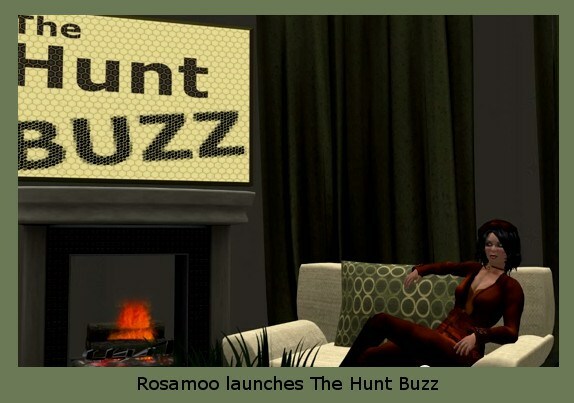 Rosamoo gets comfortable in the new The Hunt Buzz corner with commentary. Each month the corner will feature furniture from a different merchant. Thank you to DeAnn Dufaux and Park Place Home Furnishings for our initial setting. Previous Post: Feed a Smile – and get your own Designing Worlds show!